If you are taking a weekend CE class, you may arrange to have necessary supplies delivered to you in class. We are closed for normal holidays. 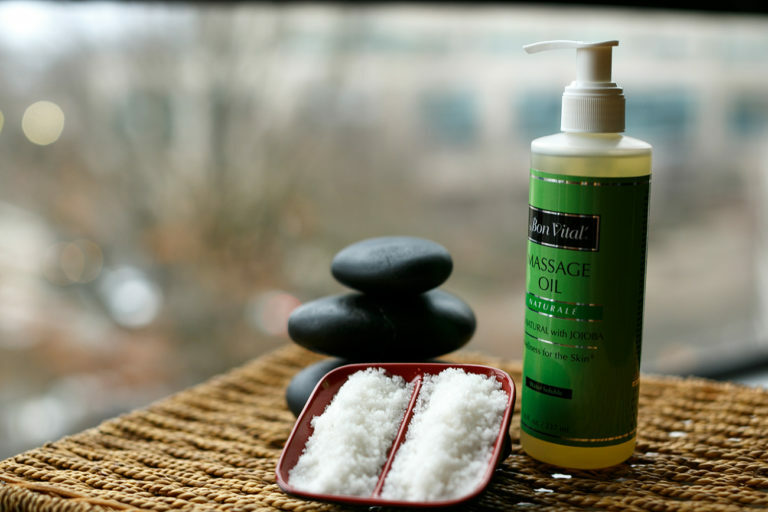 The East West College Campus Store serves as a resource for students, alumni, and Portland massage professionals. The Campus Store has required and recommended textbooks for all courses, as well as massage tables, on-site chairs and accessories, massage oils and lotions, massage tools, learning aids and posters. Comfortable chairs and eating tables are the perfect place to relax and recharge while enjoying a selection of food and snack items, including local vegan and gluten-free options. The Campus Store is happy to accommodate special orders and offers a 10% discount on non-food items to all alumni in good standing of East West College. EWC rents out massage chairs and tables on a daily basis; our grads get a special rate. Please call 503-233-6500 to reserve. We stock Avalon Table Packages by Earthlite; other tables may be custom ordered from Earthlite. Table accessories include face rest covers (disposable, fleece), bolsters (full round, half full round, jumbo round, ¾ jumbo round, half jumbo round, neck), sheet sets (cotton/poly, flannel, microfiber), table mover bands, table warmers and fleece pads. EWC carries a variety of lotions, crèmes, oils and gels in sizes ranging from trial (1 oz) to one gallon; larger sizes are available to special order. Call the Store for in-stock status, 503-233-6500.